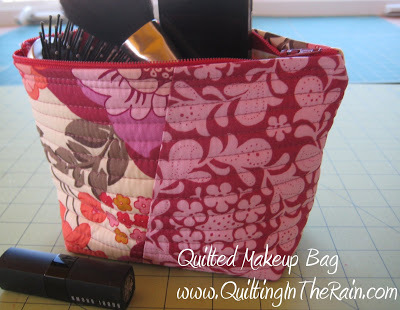 I love all the things you can make from scrap fabrics. 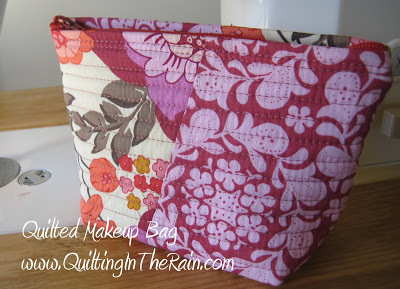 I whipped up this little bag in 45 minutes using scraps from my latest quilt. Make one yourself! 7 simple steps below. 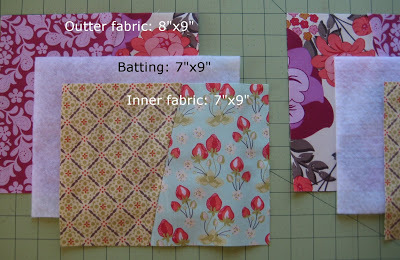 Step 1: Using scrap fabrics, make the following: Two 8″x9″ rectangles (outer fabric) and two 7″x9″ rectangles (inner fabric). Also, cut two 7″x9″ rectangles from thin batting. Step 2: Make two quilt sandwiches: Sandwich the batting in between the outer fabric and inner fabric; the wrong sides of the outer and inner fabric should be facing the batting. Quilt the two sandwiches however you like. 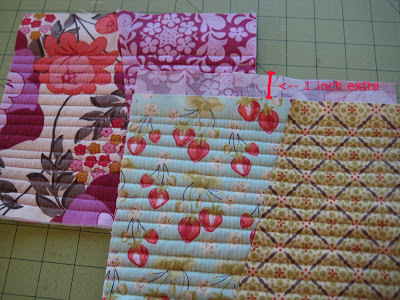 As shown below, the extra 1 inch of fabric from the outer fabric should be at the top of each panel. 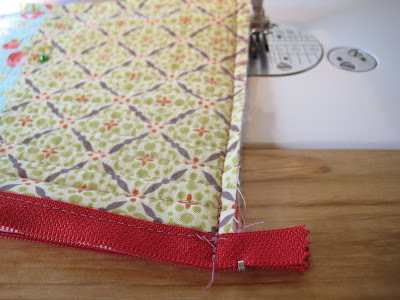 Step 3: Create a seam with the extra inch of fabric: Fold the extra inch of fabric in half lengthwise, then press with an iron. 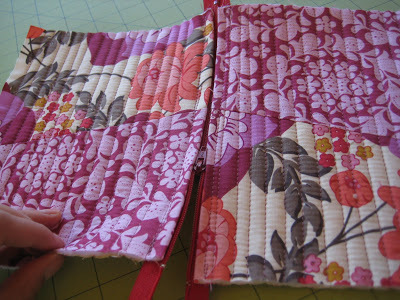 Then fold it over again onto the inner fabric; press again. 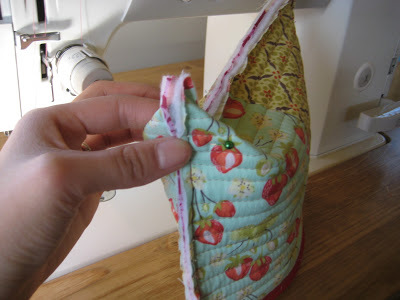 As shown below, sew the seam down with a straight stitch. 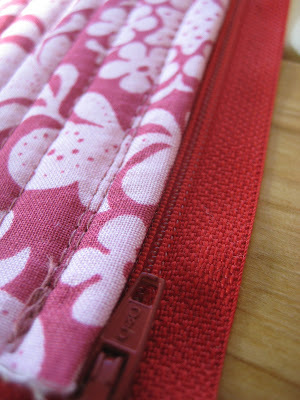 Step 4: Attach the zipper by lining up the finished seam along the length of the zipper. 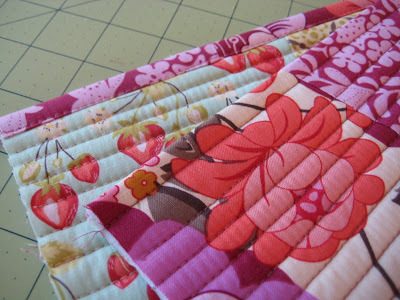 Stitch the quilted panel to the zipper using a 1/4″ seam allowance. Step 5: Unzip the zipper at least half way down. 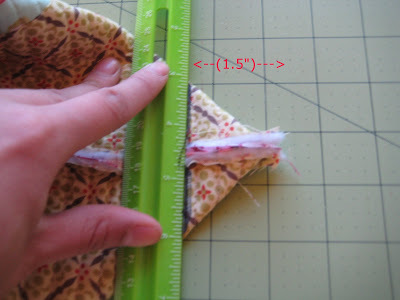 With the outer fabric facing together (the inner fabric should be facing you), stitch a 1/4″ seam allowance around the perimeter (except where the zipper is). Step 6: Create the base of the bag by puffing out the bottom of the bag, then pinching the corner together as shown below (it’s kind of hard to explain, but hopefully this picture helps). As shown below, from the corner that you pinched measure 1.5″ and mark a line. 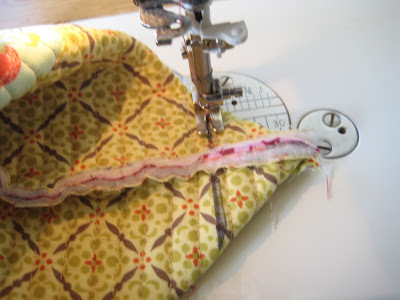 Then, sew a straight stitch along the line. Repeat on the other corner. Step 7: Clip the corner ‘wings’ off. 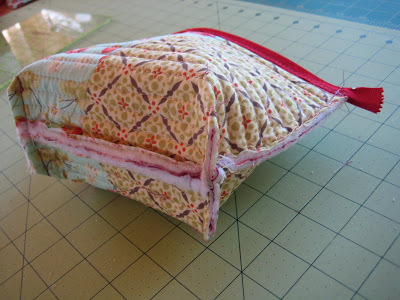 And trim off any other unnecessary bulky fabrics, and extra zipper from the ends. Lastly, from the zipper opening (this is why you need to make sure it’s at least half way unzipped from step 5), turn it inside out! I like it. Good way for me to practice the dreaded zipper. Thanks for sharing. This looks easy, thanks so much for the tutorial!! Thanks for this tutorial. It's very clear. Greetings from Venezuela. 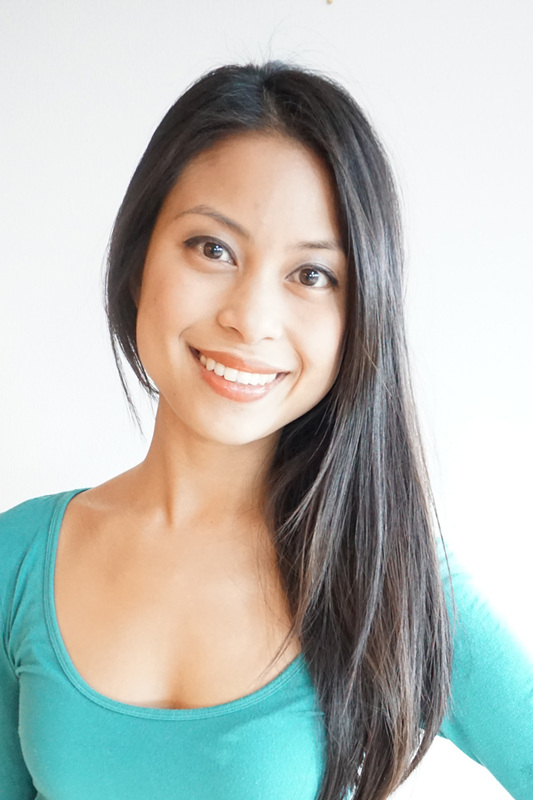 Very cute, easy and nice tutorial. Thank-you! Very easy & creative. 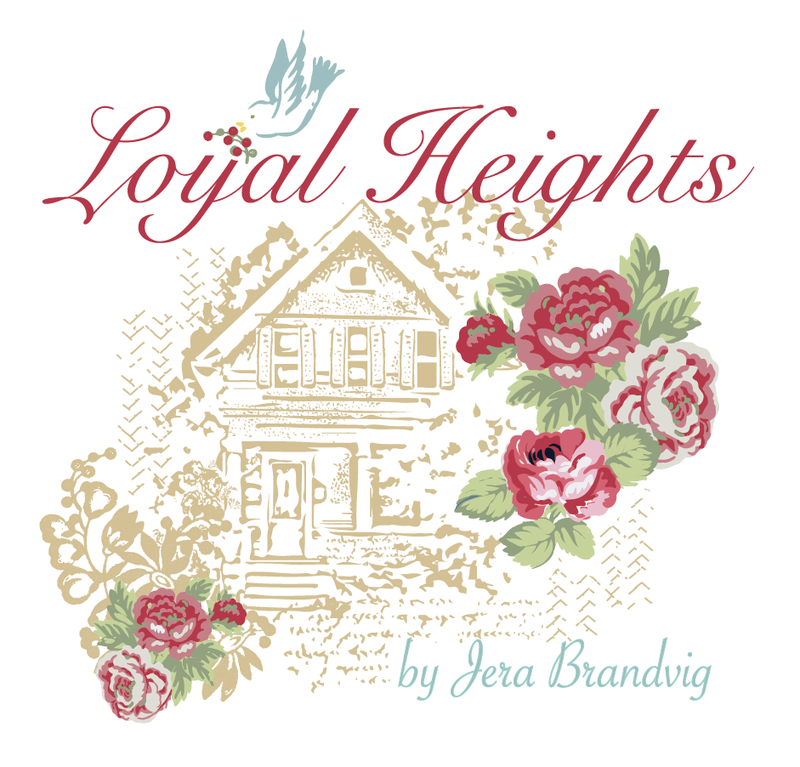 My sister & I easily adjusted the pattern for different sizes as well. Thank you for sharing your inginuity with us all. 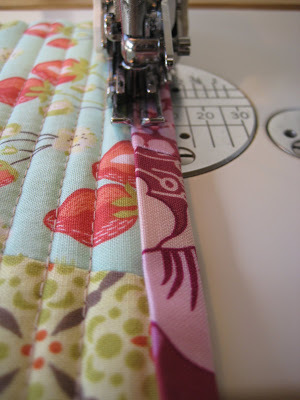 I love your idea of using binding on the zipper ends. What a great way to find this off before installing the zipper! just made one and it's lovely. Thank you for sharing this. You make it look easy so I'm going to try it. I've made three and am about to make a couple more. Thank you for this pattern – what a great way to use up fabric & batting scraps while putting smiles on the faces of my family and friends. 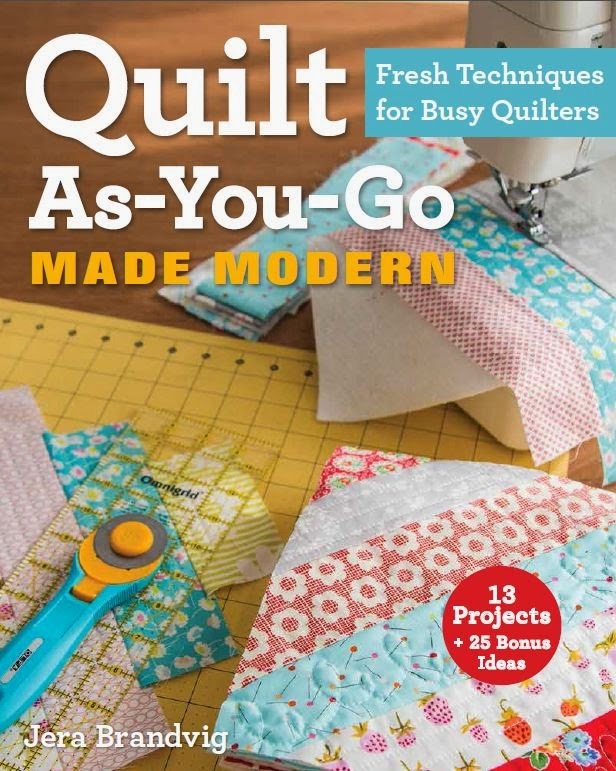 I've used single fabrics on the front/back when I've had scraps large enough… makes the project a little easier. What great luck to open your site. 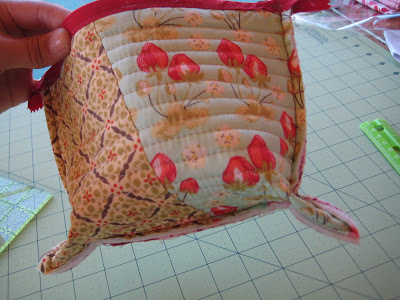 I have made three of these bags so far – and will enlarge the pieces to make bigger ones – how versatile and easy this pattern is.I am making these quilted bags for my friends and three daughters in law for Christmas and will start looking for some nice "goodies" to go inside. Well done for a great site. 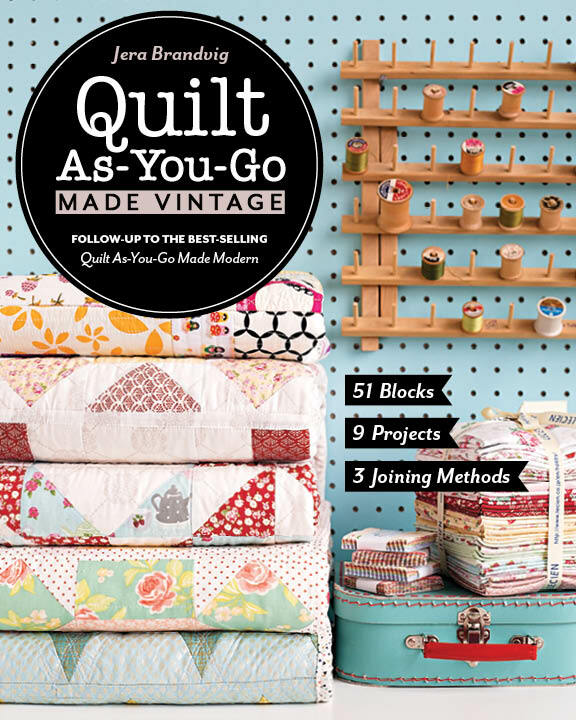 I am a firm fan from now on and will start on another of your projects! Thanks Jenny Oram. I just made one too!! It took me about 3 hours but I think the next ones will go faster. 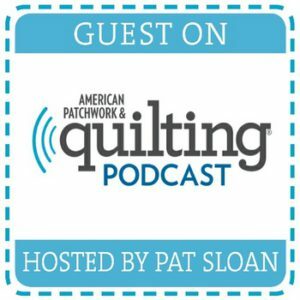 I'm new to quilting. Thanks so much for your easy-to-follow instructions!!! How does the lining go in? There are no photos showing this. You didn't just leave raggy raw edges inside did you? Loved this for using left over. Just finished cutting 25. I will donate them to the house for women in my town.